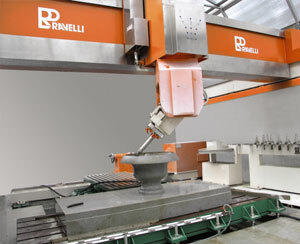 A large working centre, available with 22 or 44kW electric motor and with an optional 6th axis (lathe). 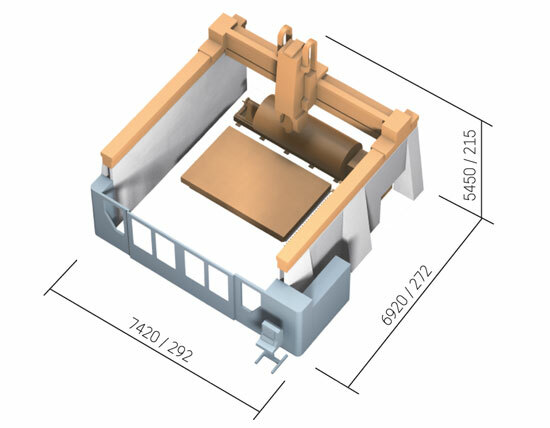 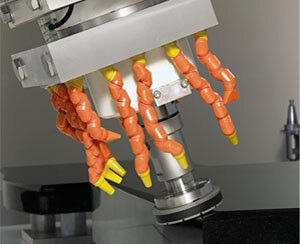 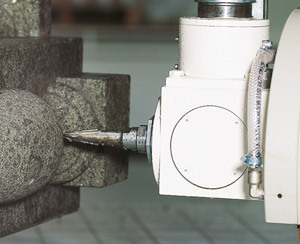 The tilting head allows the most elaborate machining operations to be carried out without repositioning the piece, saving time and guaranteeing absolute precision. 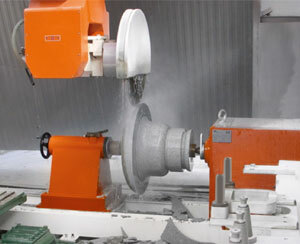 The large work table and the extensive Z axis stroke make it possible to create highly complex pieces of a considerable size. 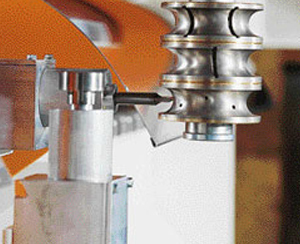 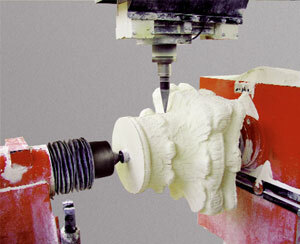 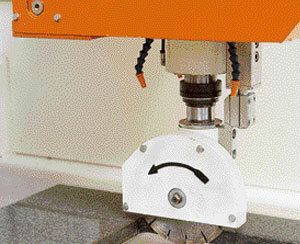 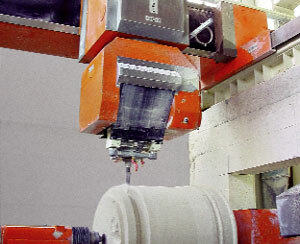 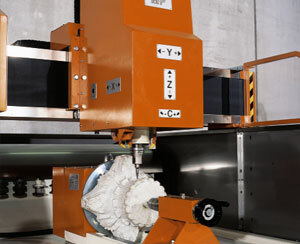 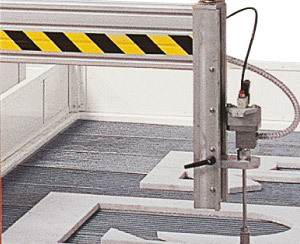 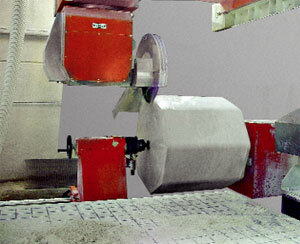 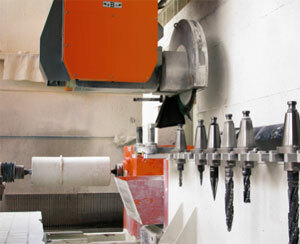 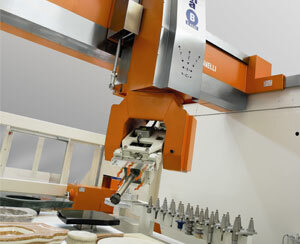 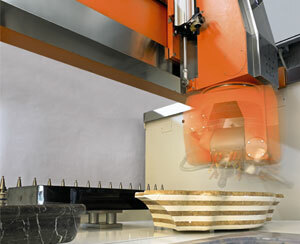 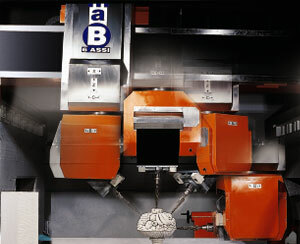 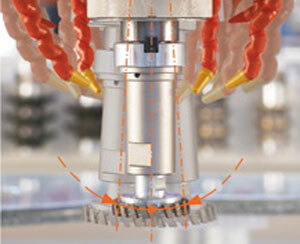 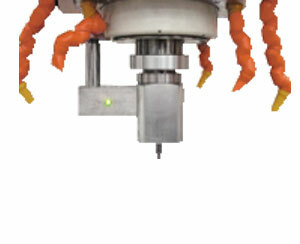 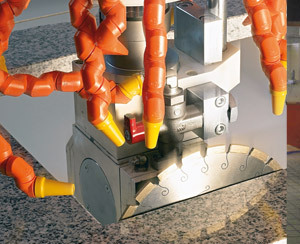 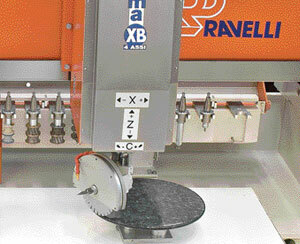 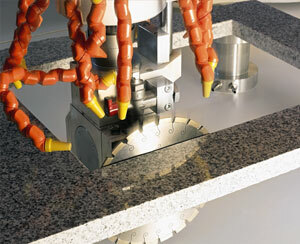 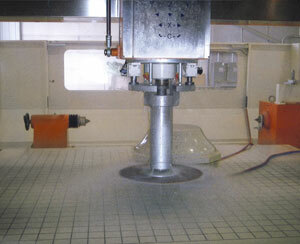 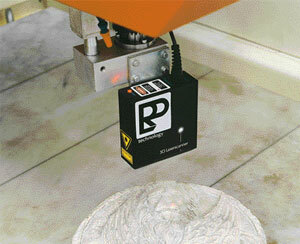 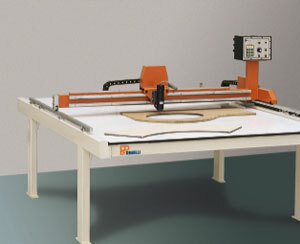 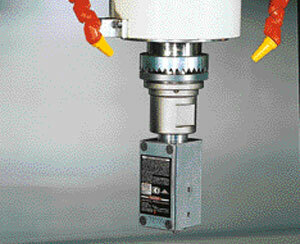 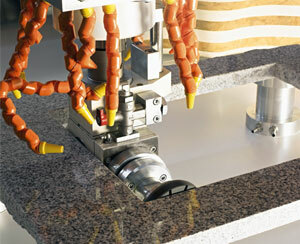 The head is also able to manage a large sized cutting disk automatically.